Serving the client’s needs begins with understanding the demands facing our institutional and individual clients. 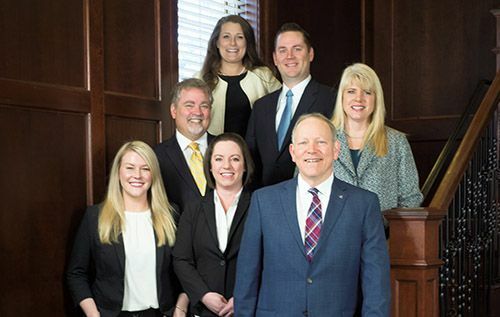 All of the attorneys at Mellette PC grew up in health professional families and draw from this knowledge and experience in their everyday work. The firm’s founding partner, Peter Mellette, has successfully represented and advised health care providers for over 25 years. Peter founded Mellette PC in 2004 with the goal of guiding clients through often confusing and constantly changing health care regulations. 2014 marked Mellette PC’s 10th anniversary. The firm has changed substantially since 2004, growing to incorporate additional attorneys with continued success in their representation of health care professionals. The guiding practice philosophy on which Peter Mellette built Mellette PC has remained the same: Support the needs of health care clients so that they can focus on their primary mission of delivering high-quality patient care. If you are seeking legal guidance from attorneys who understand the unique demands faced by health care professionals, please contact Mellette PC by phone at (757) 259-9200.